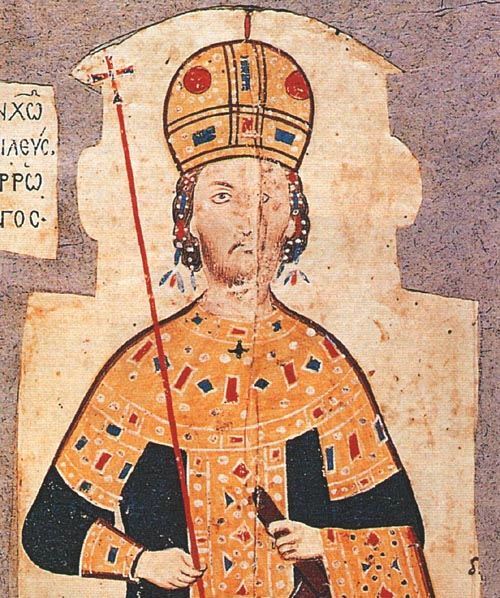 Andronikos III was Byzantine emperor from 1328 to 1341. He was proclaimed co-emperor in his youth and in 1321 he rebelled in opposition to his grandfather, Andronikos II. He was formally crowned co-emperor in February 1325, before ousting his grandfather outright and becoming sole emperor in 1328.